A year after having to call off the event due to weather and conflict of other events Annual Lindo’s to Lindo’s Road Races will take place on Sunday, March 3rd. 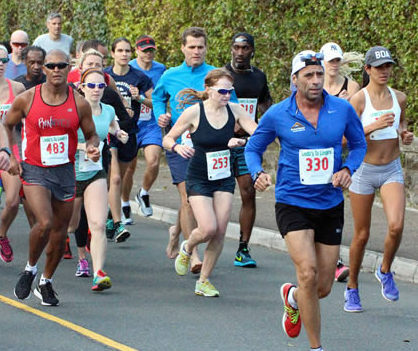 The Lindo’s to Lindo’s is intended to be a fun way to get the public outside with friends and family and to raise awareness of diabetes in Bermuda and funds for the Bermuda Diabetes Association. This year, the Bermuda Diabetes Association is celebrating their 40th year of providing support for those with diabetes and working with the public on diabetes prevention. Participants will take the usual route between Lindo’s Family Foods in Warwick and Lindo’s Market in Devonshire, along South Road and Middle Road for a 10-kilometre Run or a 4-mile Walk. In addition to raising money for a good cause, entrants will also secure a goodie bag if they are amongst the first 1,000 participants to register. There are also prizes on offer for those who raise funds for the Bermuda Diabetes Association and put in the best times. Every participant who raises $100 or more in pledges will be entered in a draw to win a pair of round-trip tickets generously provided by JetBlue. Zach Moniz, Lindo’s Family Foods Manager, said, “At Lindo’s we make it our mission to give Bermudians access to fresh, delicious and healthy foods and we want to encourage people to live their life to the fullest by making healthy life choices. There will be awards for the first male and female finishers of Italian descent, in memory of Aldo Balia. There will also be prizes for the fastest competitive walkers in the 4-Mile Walk and prizes for the school and company that enter the most students or employees to either event. There is no entry fee for those who raise over $100, or a reduced fee of $15 for those registering late. Completed forms and payment can be dropped off at either Lindo’s store, Sportseller, or The Diabetes Resource Centre (2 Dundonald Street, Hamilton) by Wednesday, February 27 at 5pm. Online registration is open until March 2nd. Numbers can be picked up from the National Sports Centre Pavilion on Saturday, March 2nd from 9:30am until noon or from Lindo’s Family Foods in Warwick on Sunday before the race.